Have you written it in your diary yet? 17th June is Father's Day this year and it's time to get your thinking caps on when it comes to getting the right pressie. 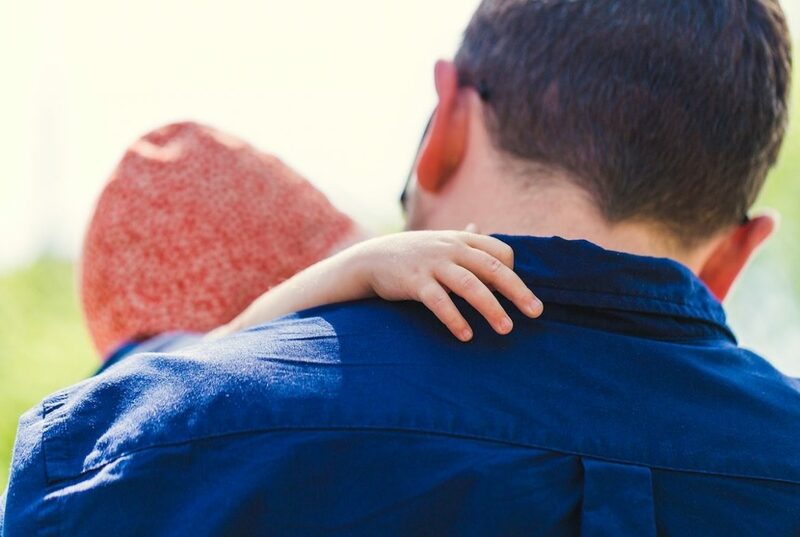 Plus, keep reading because we've teamed up with the lovely guys at Prezzybox for the chance to win a special Father's Day prize! For dads who love the adrenaline rush, why not give him the ride of his life by taking him off to a theme park for the day? Attraction Tickets Direct features three of the best parks in the UK – Alton Towers, Chessington World Of Adventures and Thorpe Park, with ticket prices starting at £34. Plus the great thing about a theme park pressie is that you get to go too – a win-win! I realise it’s a cliché to associate DIY goodies with Father's Day, but there are some men who like to play at being a handy man, so a reliable pressie would be to get them something they need. But you don't always know what they need, so instead how about a gift card so they can treat themselves? B&Q, for example, offers cards, e-gifts and gift lists. Then dads can decide on their own present and get something they want. I’m hoping that VIP doesn’t read this as he’s sporting a beard right now and I've actually been trying to encourage him to lose it. But there's no denying it… beards are in – as Harry proved when he said ‘I do’ to Meghan. 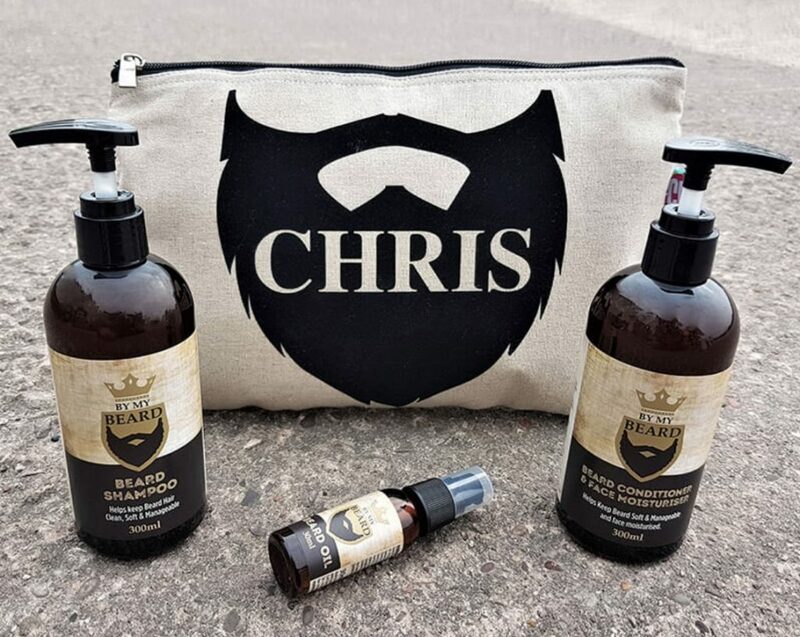 Dads who wear their beard with pride will love this Personalised Beard Kit from £22 – it’s quirky, fun and it will have beards up and down the country looking in tip top condition. Show me a man who doesn't like a drone and I'll probably fall off the chair I'm sat on. What is it about drones, cameras and spying on people? Now's probably a good time to admit that I wouldn't mind one either. Not for spying of course – mine would be purely for professional reasons of course. And to follow next door's cat to see if he is the culprit in digging up my veg patch. If you're just starting out and experimenting, a good one is this RC Orbit Explorer Drone with a camera. It has a remote control, 300,000 pixel camera, built in gyro stabiliser and costs an affordable £54.95. If you get your skates on, you can make this year's Father's Day a date with a difference by buying lunch on a cruise down the Thames! This is one for all the foodie dads who have a sense of adventure and prices start from £50 per person with Bateaux London Cruises. 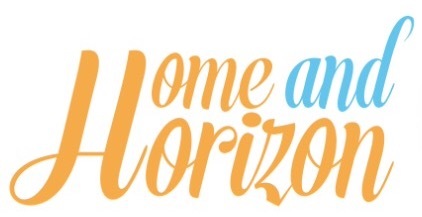 Boarding starts at 11.30am, the cruise departs at midday and you'll return at 2.30pm. It includes a three-course set menu (with upgrade options and children's menus available) and the cruise will take in sights such as the Houses of Parliament, the Coca-Cola London Eye, St. Paul’s Cathedral and the Tower of London, all while listening to a Jazz band – very sophisticated! For dads who reminisce about the 80s and old-style computer games such as Pacman, Frogger and Space Invaders, this Desktop Arcade Machine will satisfy their inner gamer. 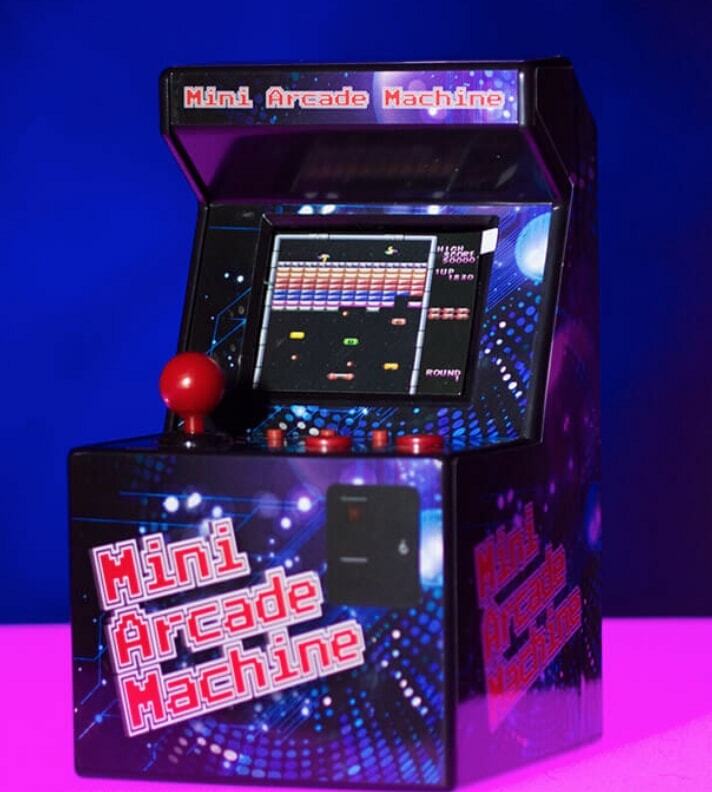 It features a whopping 240 games, an eight-way control joystick and two function buttons plus a full colour 2.5 in screen and built in speakers. But best of all – it's just £22.99! Most men are gadget fans – and this little beauty whets the appetite for both music fans and smartphone addicts – it's a Speaker Station that features a 5 Watt Speaker with Super Bass and can house both tablets and smartphones. So now there's no excuse to listen to music or watch music at volume qualities not worth mentioning – this little gadget offers high quality surround sound with no fiddly connections – and all for the very affordable price of £24.99. 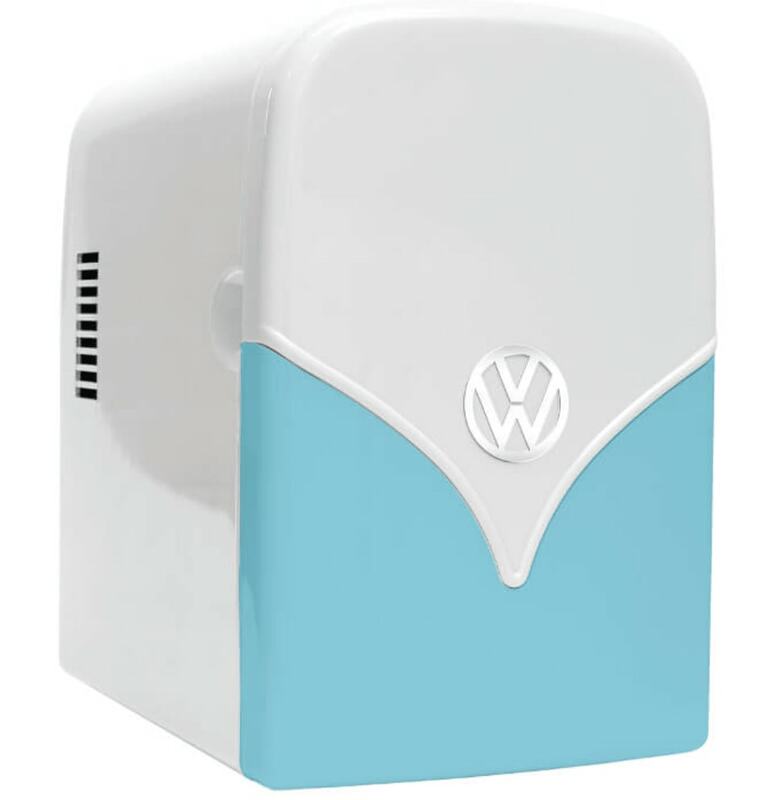 For the dads who have their own man cave at the bottom of the garden or somewhere in the house, this Volkswagen Mini Fridge will be the envy of his mates. And if dad is into his camping, it works just as well for travel, keeping food wither cool or warm for hours on end. It has a 4 litre capacity and costs £49.95. 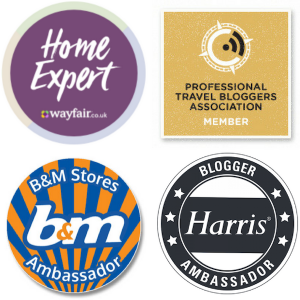 If you've got a dad in the family that's a bit trickier to buy for, has everything he needs to keep himself entertained or would just prefer to sit indoors and chill out, then consider a magazine subscription. Yes, it's not just for women you know! There are magazines out there for every man and his dog – covering anything from golf, wine and cycling to photography, films and technology. There’s bound to be something that dad would like to take himself away and bury his head in. To celebrate this year's Father's Day, I've teamed up with Prezzybox to run a competition to win this Original Storm Trooper Decanter, which has an RRP of £24.99. For a chance to win the giveaway – which ends on Wednesday 13th June – enter via the widget below. Please note that the winner will be notified the same day – and must respond within 24 hours for the prize to arrive before Father's Day. Great post , Thanks for shearing this post . I am very interesting in this topic . I would like to share my opinion on this topic .Specialized gaming mouse (computer): whether playing a first-person shooter at a LAN party is your gamer’s weekend of choice, or grinding for gold in World of Warcraft is more their style, there’s a custom input device to make their gaming experience more fun, and take their skills to the next level. There is a custom input device for almost every genre, and some even exist for specific games. I think my family may have found your list as magazine subscriptions and beard products topped my father’s day presents and they were much appreciated. So good to have a list of gifts that are a bit more unique. I love the Star Wars, Storm Trooper decanter. It’s definitely unique isn’t it?! Some great ideas here and I must admit to not realising it is this Sunday!! Thanks Lucy – hope you manage to find something suitable in time! glad it has helped Cheryl! 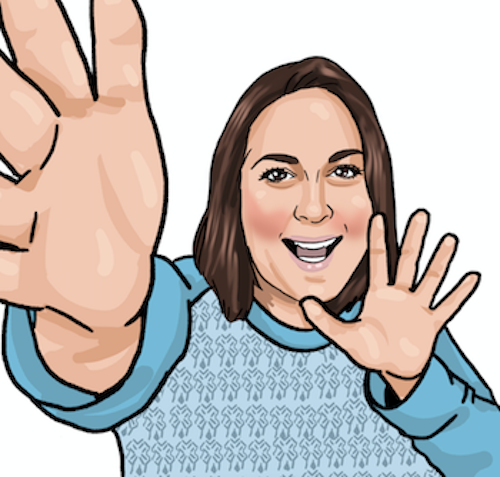 Thanks Helen – really pleased to hear you found it useful! What a great prezzie for Father’s day. I think the glass is especially clever. It has a great design doesn’t it? 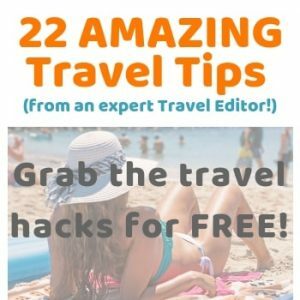 I liked your tips on Instagram re Miami! Thanks Karen – that has given me a great insight – I’ll look to leave more of them! I am not entering the competition but you’ve come up with a really useful list for the man in my family whose birthday is soon. He is always so difficult to buy for. Thank you! Glad that you’ve managed to be inspired with a few ideas – thanks Susan! Thanks Mandy – good luck! This is a fantastic Fathers Day gift,unfortunately we lost dad just before Xmas,So it’s going to be hard this year,but I know another wonderful dad that would love this. I’m sorry to hear that Kimberly – I’m sure he’s close in spirit and thanks for leaving a comment. 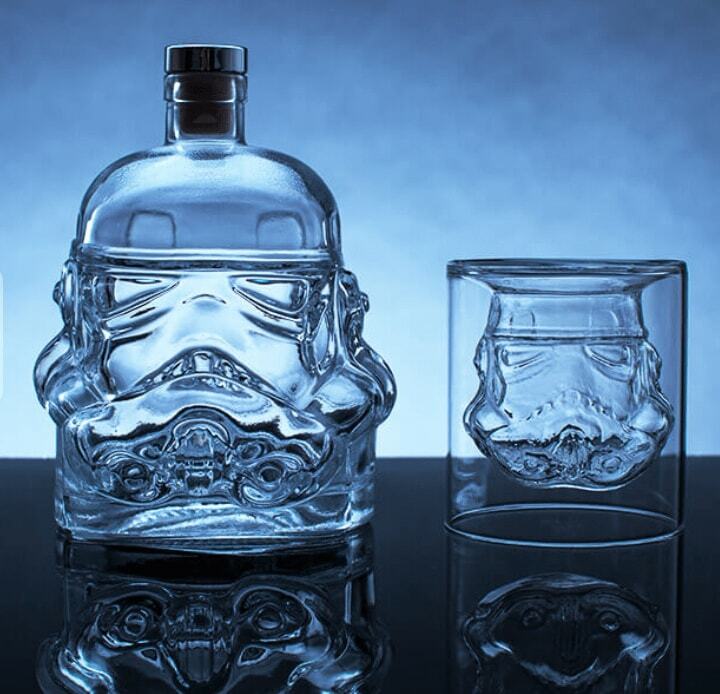 I want the storm trooper decanter! Not for my dad, but for me. But he might like the old school arcade machine. Cool list! I’m sure he’d enjoy that – sometimes gift experiences can be better than something tangible. It’s a good one isn’t it! I particularly like the colour and design. Ooh a number plate idea is interesting. You should scour local boot fairs too – they are usually good for picking up items like that. My husband would love the fridge for his man cave! My dad would too, they have a camper van so he would be a big fan! It’s a great idea – even for another room in the house, but more so for things like Camper vans! You have a few options there then Kayleigh! Good luck – hope it goes well! Thanks Iris! Yes, I hadn’t even thought of that – you could use coloured dye to really make it stand out couldn’t you?! Brilliant, quirky gift ideas for the man who has everything! Thanks Pam – hopefully there’s something here to whet most people’s appetite! 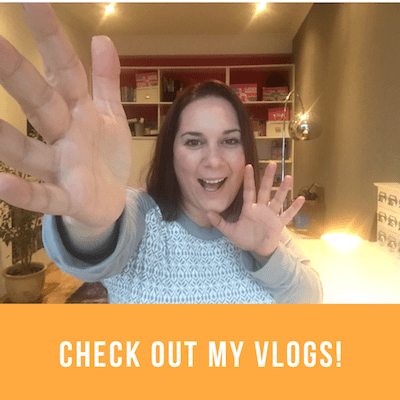 Wonderful blog… love all your quirky ideas as I would never have thought of them. Great to hear Lorna – it’s hard to choose for men most of the time don’t you think? Some fabulous quirky gifts here! Sadly my Dad passed away three years ago but I know he would have loved one of the RC Drones – he was really into gadgets. Great giveaway too. Such a fabulous and unusual prize! Sorry to hear that Tanya. I think a lot of men are into their gadgets aren’t they? The drones definitely look great fun! Some really lovely ideas you’ve put together, I know a few on your list that my dad would absolutely love. Beard kits are great ideas aren’t they? If a man has to have a beard, I say he should look after it so it’s silky and soft! Oh dear…just realised the 3 yo and I will be away for Father’s Day this year. Urm. Better leave a box of something and a card hidden for him to find while we are away! Ha ha! The things we have to do eh Kelly?!! 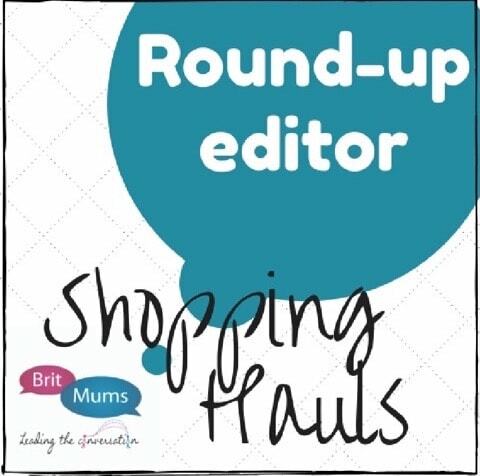 Love these ideas, will definitely be looking into magazine subscriptions. That’s the beauty of them – there’s something for everyone. Good luck! Great gift ideas, these! My husband’s got a beard and I’m sure he’d love that beard kit. Something a bit different isn’t it Elizabeth? I love the design – it’s awesome isn’t it?! Now these are some awesome ideas, we have the Stormtrooper decanter and it is amazing just perfect for a Star Wars fan! Star Wars fans are going to love it aren’t they? And isn’t there a film out soon based on Star Wars – Solo? My Dad is in the hard to buy for category and a magazine subscription is a great idea! I’m sure they’ll be something for him to read – good luck!